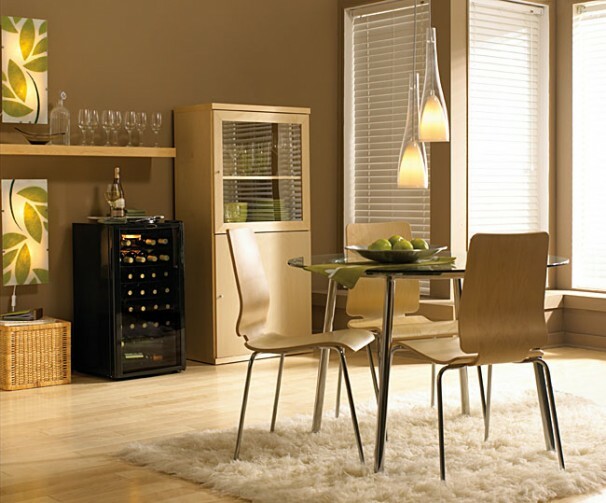 The Danby® free-standing wine cooler is an economical and convenient alternative to cool and store wine. 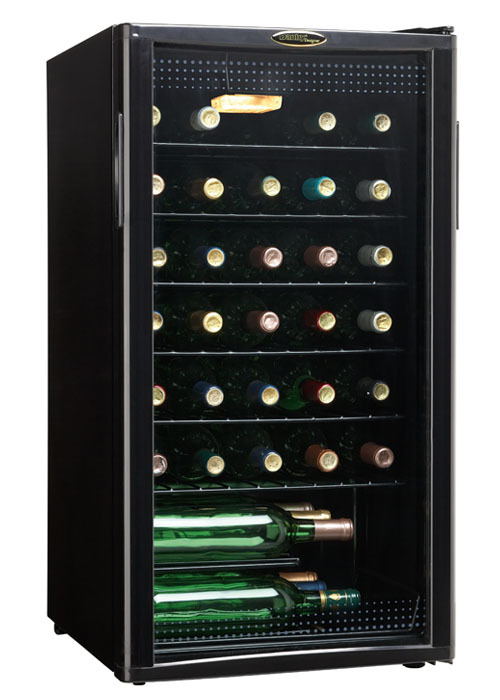 This model offers a generous 35 bottle capacity and includes an interior display light to show off your collection. 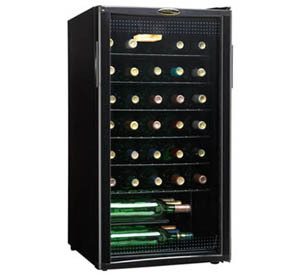 The handsome all black cabinet suits almost any décor and will entice even the most seasoned of wine tasters.